Both of these can be great tools in your battle against debt. However, there are pros and cons to both options. When it comes to consolidating debt and lowering your interest expense, credit card balance transfers and personal loans can be two excellent and similar options. For example, they are both unsecured forms of borrowing, which means that you won’t have to put up anything as collateral to use them, such as your home. However, like most financial products, both balance transfers and personal loans have pros and cons that need to be taken into consideration. For example, while balance transfers may have a 0% interest rate, they often come with a fee and have relatively short promotional periods. With that in mind, here’s a guide to help you decide which is the best choice to help you take control of your debt. Transferring a balance to another credit card can be a quick and easy way to pay off debt, as the process generally involves filling out a credit card application and some information about your existing credit card accounts. There are some excellent 0% intro APR balance transfer offers on the market right now, and you can read our updated list of the best balance transfer credit card offers to see what’s currently available. You can typically find credit card balance transfer offers with a 0% introductory APR (annual percentage rate). Meanwhile, even the best personal loans typically have interest rates in the 7% range. Many credit cards with 0% intro APR balance transfer offers also have nice rewards programs, as well as 0% intro APR offers on new purchases. Balance transfers often come with a fee. The industry standard has been 3%, but fees of as much as 5% of the amount transferred have become quite common. If you have lots of debt to consolidate, your balance transfer will be limited to the card’s credit limit. Balance transfer credit cards typically only require a small minimum payment each month, making it possible for you to leave a substantial balance when the 0% intro APR period expires. The 0% intro APR period is relatively short compared with the duration available for personal loans. Even the best balance transfer credit cards have 0% intro APR periods for 18-21 months, while you can obtain a personal loan with a term of 72 months or more. When might a balance transfer be best? It makes the most sense to take advantage of a balance transfer offer if your debt is relatively small and you’re confident that you can pay it off in its entirety before the 0% intro APR period ends. Sure, you can theoretically obtain another balance transfer at that point, but it’s not a smart idea to count on it. Plus, balance transfers can be great if you want the flexibility to make new purchases, as many credit cards with balance transfer offers also have excellent 0% intro APR periods for new purchases. It used to be rather difficult to obtain a personal loan, especially if you didn’t want to pledge collateral. That’s changed in recent years, as peer-to-peer lenders and other online lenders, as well as traditional banks, have rapidly expanded the unsecured personal loan market. In most cases, you can check your ability to obtain a personal loan without initiating a hard credit inquiry, and you can find personal loans in any amount ranging from $1,000 to $100,000 from a variety of lenders. Personal loans can be great for consolidating high balances, or many different balances. Personal loans are available in amounts of up to $100,000 as of this writing, and it’s quite uncommon to get a new credit card with a limit of more than $20,000. Personal loans force you to commit to a repayment schedule. If you obtain a 48-month personal loan, for example, you are required to repay the debt in full within that time frame. Meanwhile, when you transfer a balance to a credit card, you’ll only be required to make a small minimum payment each month. You can use personal loan proceeds for more than just transferring or consolidating credit card debt. For example, if you want to renovate your kitchen or pay medical bills, you can do these things with a personal loan and bypass credit cards entirely. Personal loans have longer repayment periods. Unlike a 0% intro APR offer from a balance transfer credit card, which will typically last for 18 months or less, you can find personal loans with terms of 72 months (six years) or potentially even longer. Personal loans can improve your credit score. All other things being equal, installment loans count more favorably in the FICO credit scoring formula than credit card debt. You can generally get pre-approved for a personal loan without a hard credit pull. You’ll always pay interest with a personal loan. While 0% intro APR balance transfer offers are common, personal loans always charge interest. In fact, only top-credit borrowers typically qualify for personal loans with interest rates below 10%. Personal loans generally require an excellent credit history to be financially beneficial. In fact, the best APR an average-credit borrower (about 700 FICO score) is offered on a personal loan is typically above 17%. While a personal loan forces you to commit to a repayment timetable, it also requires you to commit to a monthly payment that is likely to be higher than the minimum payment on a balance transfer credit card. In other words, if you want the flexibility to choose how much you pay each month, a personal loan may not be the best choice. Not all personal lenders change fees, but many do. And origination fees can be rather steep, especially if your credit isn’t stellar. When might a personal loan be a better choice for you? A personal loan is likely the best choice for borrowers who aren’t certain of their ability to pay off their debt within a 0% intro APR window, or who may be tempted to simply make the minimum payments on a balance transfer credit card. 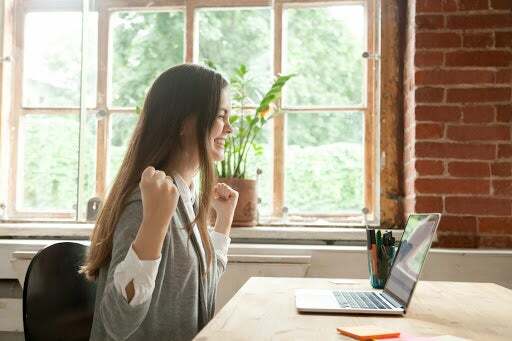 Personal loans can also be excellent ways to get a quick boost to your credit score, as it’s a more favorable form of debt than credit cards in the eyes of the FICO scoring formula. And finally, personal loans can be the best choice if you have more than just credit card debt to pay for or consolidate. For example, if you have $8,000 in credit card debt, $7,000 in medical bills, and want to spend $10,000 on new appliances for your kitchen, you can obtain a $25,000 personal loan to take care of all of these things at once. It’s certainly possible to use both methods of debt consolidation to your advantage. For example, let’s say that you have $20,000 in high-interest credit card debt, but you know that there’s no way you can pay it off during a 0% intro APR window with a balance transfer credit card. You could choose to transfer a manageable amount of the debt onto a balance transfer credit card with a 0% intro APR, and then obtain a personal loan for the rest. This way, you’re avoiding interest on as much of your debt as possible, but without the risk of a high credit card interest rate kicking in on the rest before you can pay it off. The point is that while both methods have pros and cons, you don’t necessarily have to choose one or the other. The best solution to your debt management could be some combination of the two.